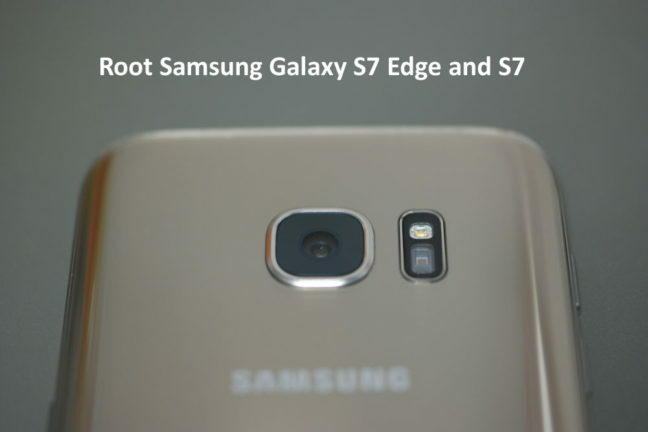 Samsung Galaxy S7 Edge (SM-G935F) and Galaxy S7 (SM-G930F) are amazing phones with specs, design and features. Root is now available only for the Exynos variant on both devices, courtesy of Chainfire, senior moderator and senior recognized developer on XDA Developers Forum. This article I’m going to tell you how to root Galaxy S7 Edge and S7 using CF Auto Root. At the end of this tutorial you will have a rooted phone in your hand. However, please note that you will lose warranty, things can go wrong and you may end up with a bricked device. Proceed with your own responsibility. Follow the instructions below to root your device on an Windows PC or laptop. Download the correct zip for your device and rest of the steps are similar. Note that CFAR’s display code isn’t yet compatible with the S7, as such, there is no output on screen. This means that after flashing with ODIN, the device will only show you the S7 logo, and it seems like nothing happens. Just leave the device alone for 5 minutes. It’ll reboot a few times, then boot into Android, but now you have root. If it still doesn’t do anything after 5 minutes, something has gone wrong, and you should probably reflash your stock boot.img and recovery.img. If you are having any issues and want to get support please visit XDA Forum using this link for Galaxy S7 Edge and this link for Galaxy S7.